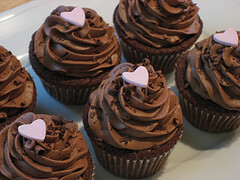 The minimum order is 2 Dozen Classic Size cupcakes or 4 Dozen Minis. Each dozen must be one flavor/2 per mini's. Do you make Dairy Free Cupcakes? Being a mom of a little girl with a Dairy Allergy - YES I CAN! They are DELISH!! Do you have a shop where I can go in and taste all of your cupcakes? We do not have a store front. We do have our own Commercial Licensed (by NYS Dept of Agriculture) kitchen. Do you rent cupcake towers? With the purchase of our cupcakes only, we will rent out towers. There is a rental fee for all cupcake towers. We will set-up and break down your tower so you do not have to worry about it. Do you use peanuts and tree nuts in your cupcakes? Please contact me directly regarding any allergies. I can accomodate MOST! How long will your cupcakes stay fresh for? All cupcakes are baked within 24 hours of delivery. The best time to eat our cupcakes is immediately (if you can wait that long) or within 48 hours of delivery. Never put our cupcakes in the refrigerator. This will cause the icing to harden and the cake to dry out. Can I get a custom fondant design on my cupcakes? You sure can! We would be thrilled to customize your cupcakes with an edible fondant decoration. Most classic size cupcakes can hold a fondant design, the mini's can not. They are too small. Do you use shortening in your icing? EW NO WAY! Our buttercream is made only with the freshest butter available and never shortening. Butter substitutes are use for Dairy Free! We are located in Western Suffolk County and we will deliver throughout Long Island including the Hamptons, Montauk, the Five Towns and possibly further if available. We do not ship cupcakes but we do ship our chocolate goodies all over the US.